So, forgive me if I don’t provide super in depth details here — I seem to have a memory fail on what happened at the end of�The Indigo Spell and the beginning of�The Fiery Heart. So, here’s what I remember about Richelle Mead’s latest�Bloodlines book. Things seem to be going well for Sydney Sage. She is excelling at school again, she’s learning new spells, and is having a breakthrough when it comes to the ink that the alchemists use. Her relationship with Adrian is going to the next level. HOWEVER. Things can’t always stay this way. You see, Sydney’s world is about to come crashing in on her as she finds out her parents are getting divorced. To make matters even worse, her sister Zoey has been sent to help out with the mission and so that means Sydney has to go back to acting like an alchemist around her Moroi and Dhampir friends. Also, in�The Fiery Heart, Adrian begins to get his own point of view chapters. Yay! We learn just how deeply spirit affects him. He also decides to seek some therapy as well as a prescription for the chemical imbalance in his brain — to help him better deal with spirit. That’s about as barebones as I �can get with the plot of�The Fiery Heart. Let’s Talk Romance — What Bases Are Rounded? Are you into action and things happening and a fast moving plot? That is how Richelle Mead’s writing is. There is absolutely nothing boring or slow about�The Fiery Heart. I would be like hmmm dee do do dee, and then BAM action and fights and strigoi! This book is legit you guys. Also, I loved that we got an additional point of view with Adrian. I mean, Sydney is great and all. It is nice to see that girl loosen up. However, it’s nice to see that Adrian isn’t quite the douche I originally thought he was — from back in the Vampire Academy days. I really loved this book on the whole. Personally, I dug the narration of�The Fiery Heart, but there are a few people who have quibbles with it. For one thing, Emily Shaffer is not the only narrator. There’s some guy who narrates Adrian but because I am terrible at internet research and it doesn’t credit him on audible, I can’t figure out who it is. You would think the world was ending from the drama over the addition of a male narrator for Adrian’s chapters. Personally, I did not mind. I really liked the addition of a new narrator, I thought it helped to keep things fresh. 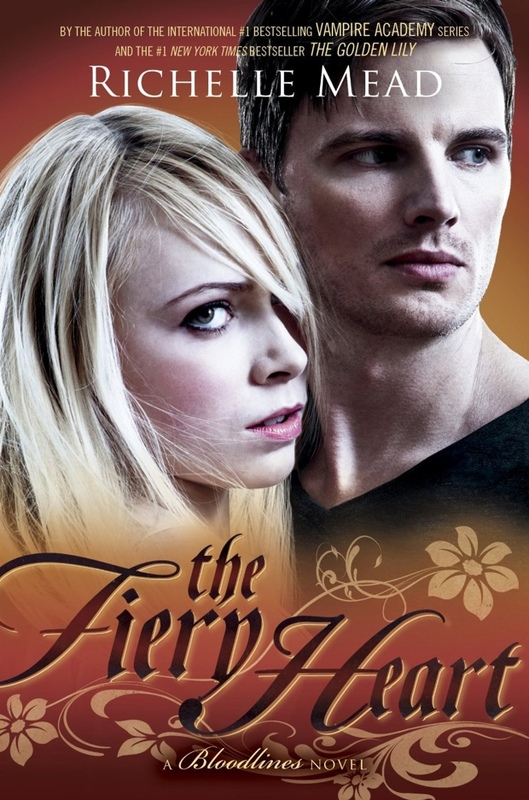 The audiobook of Richelle Mead’s�The Fiery Heart is 12 hours and 4 minutes long and is produced by Penguin Audio. If you’ve been listening to this series all along, I would say it is worth continuing in audio. Seriously though, the male narrator is not that bad. Listening to the audio of the Bloodlines series as well as VA would be a great way for me to re-read them. I’d have no issues with a narrator being introduced for Adrian, it’s nice when you have two distinct voices to listen to. Also, I am a Richelle fan, too, you can always count on her books to be good, fun reads. I was pretty disappointed by The Indigo Spell. I loved VA because while romance played a huge role, there was also other plot lines that created a lot of action. In the Bloodlines series, I feel like the action has been pretty lacking. Which is why I’m intrigued to hear you say that it picks up in Fiery Heart. And did I read Strigoi?? They’ve been absent wayyyy too long! I had decided to pass on the rest of this series, but maybe I shouldn’t be so hasty.